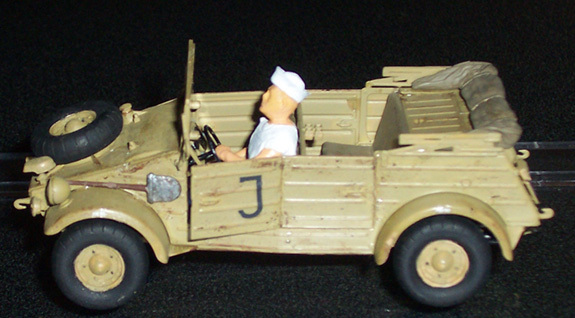 Ok, so you might be wondering why it is that a U.S. Swabbie is modeled sitting in the driver seat of what looks like a German World War Two Kublewagen Jeep. During the 1940's when Paw Paw was working on the LST's transporting all the material the U.S. Military needed to fight the war against the German's in North Africa, he came across one which was abandoned in the desert. 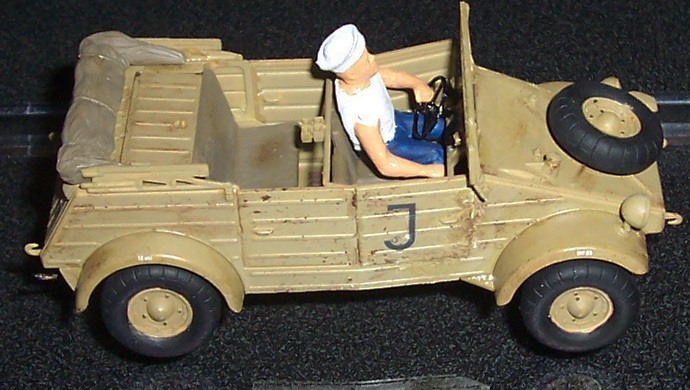 Considering the fact that Harv was quite a mechanic and had lots of room in the cargo holds of the LST's he was on, he decided to get the old jeep started and made it his own. 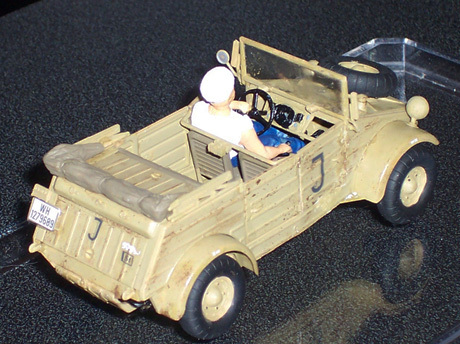 For years he would drive the little jeep around all the areas he was stationed at, and usually he draped a U.S. flag over the top of the tarp cover, just to make sure that our Fly Boys wouldn't machine gun him down from the air, thinking he was some German scout. During the end of the war when Paw Paw was getting on the ship which would eventually take the soldiers back to the United States, he forgot to put a "name tag" on the Kublewagen, and the poor thing sat on the dock as the Ship's Captain refused to take anything on the vessel unless it had a name tagged to it. 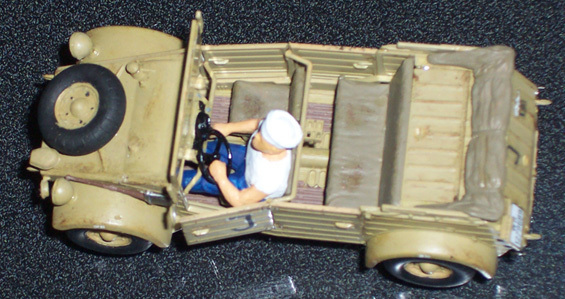 One day when Harv and I were sitting around talking about the war, he told me this story, and being a modeler, I decided I would get a Monogram kit of the Kublewagen, and perhaps use the Italeri PT boat crew for the navy sailor. I found that with a little carving off of the life vest, both sleeves and the jacket, and a re-molding of a t-shirt and a pack of smokes on his right sleeve, the model would be perfect to reenact a time in Paw Paw's life which he loved.